Practical Sailor Editors’ Choice is awarded to products that Practical Sailor editors believe represent outstanding quality and value. The magazine is highly regarded by serious sailors and DIY boat owners for its unbiased evaluations of sailing products and related services. 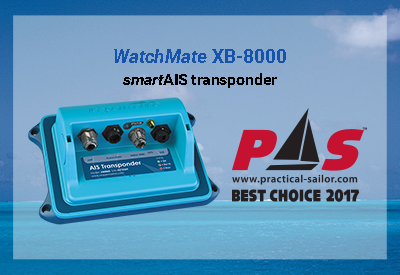 Gear of the Year 2017, XB-8000 is the world’s first black box AIS transponder to incorporate built-in safety alarms. Vesper Marine transponders and connected equipment like laptops and chart plotters are safe from high current damage. 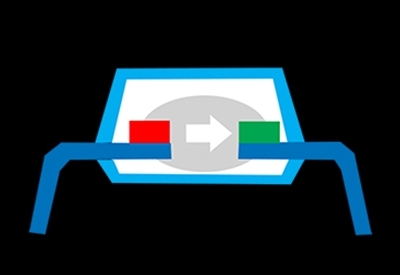 Galvanic isolation means isolating the electrical circuits within your equipment from external electrical circuits, by ensuring there is no conductive electrical path between the two. Connectivity is achieved via a different medium such as light. deckWatch displays AIS, navigation and GPS data as well as safety alarms right on your smartwatch. IBEX Innovation Awards organized by NMMA recognizes exceptionally innovative new marine products that have "innovative distinction from other products currently manufactured in the marine industry." 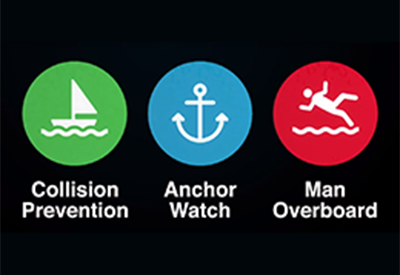 Learn about smartAIS and how it can help enhance your safety at sea. 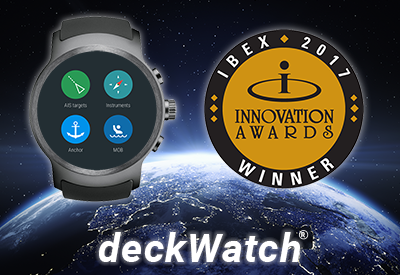 See a demo of deckWatch and why it's winning awards and fans. Learn about other favorite features of Vesper Marine transponders. View a demo of Vision, learn about alarm profiles, managing collision alarms and more.